When a child is “teething”, it means that the tooth is emerging through the gums in the mouth of infants, which normally starts during the first year of life. Remember though that every child is different and every child may have a slightly different way of handling teething – which means that you might have to try few different things to help your kids feel comfortable during this time. 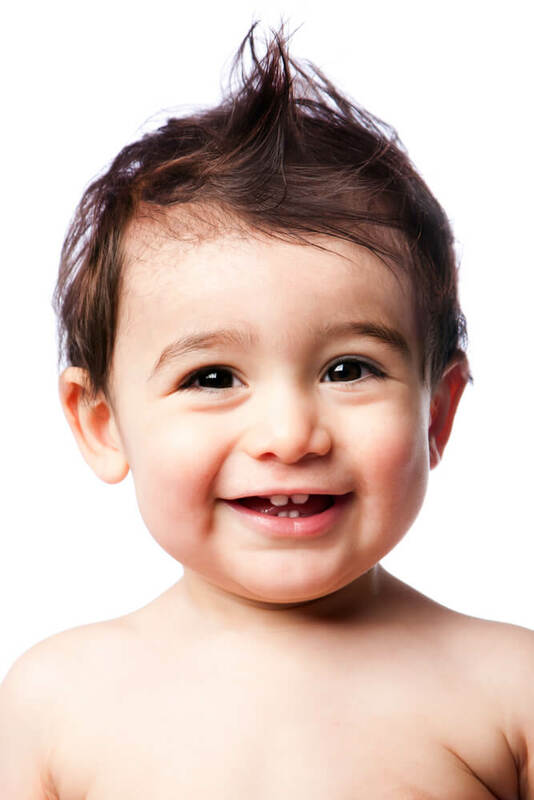 Some babies might be born with their first tooth, while others can either start teething before they are 4 months old, and others after 1 year of age. Mostly teething begins when a baby is about 6 months old. The bottom front teeth or lower incisors come through first, which is followed by the top front teeth. Majority of the babies will have all their milk teeth by the age of two and a half years. What are the typical teething symptoms? Also, note that teething does not lead to fever or diarrhoea. What can I do to lessen the discomfort due to teething? Feed your child cool and soft foods like curds, if your child is eating solids. Wipe your child’s face with a cloth to remove the drool, which would prevent rashes. Rub your baby’s gums gently with a cool, wet cloth or with a finger (make sure your finger is clean). Give your baby an object to chew on, such as a rubber teething ring. Some of these rings can be cooled first in the fridge to soothe the gums. Avoid giving any liquid-filled teething products or plastic toys that can break. Never place any frozen object against your baby’s gums. Provide a cool sugar-free drink such as water to soothe your baby’s gums. 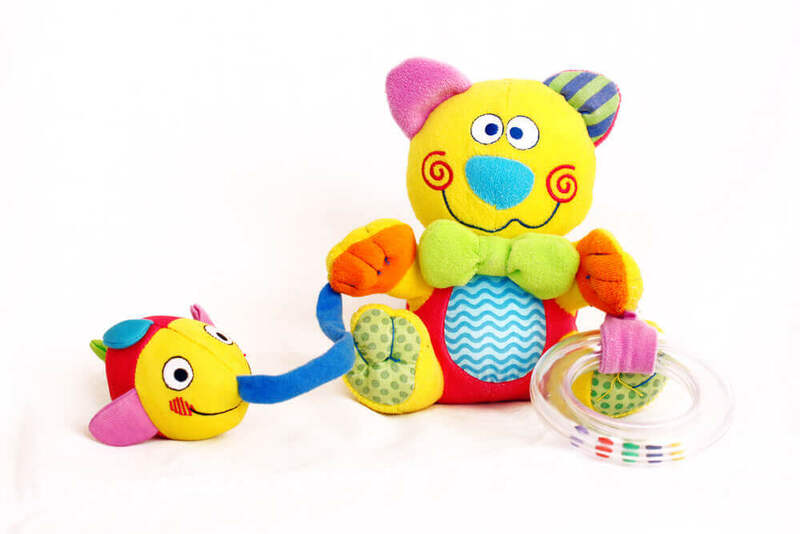 Play with your baby to distract them from the pain in their gums. Give your baby raw fruits or vegetables to chew, if they are 6 months or older. National Institute of Health (NIH). Teething. Last updated: 20/11/2014. Available from: https://www.nlm.nih.gov/medlineplus/ency/article/002045.htm. As accessed on: 25/4/2016. National Health Service (NHS). Baby teething symptoms. Last updated: 10/2/2016. Available from: http://www.nhs.uk/conditions/pregnancy-and-baby/pages/teething-and-tooth-care.aspx. As accessed on: 25/4/2016. National Health Service (NHS). Tips for helping your teething baby. Last updated: 10/2/2016. Available from: http://www.nhs.uk/conditions/pregnancy-and-baby/pages/teething-tips.aspx. As accessed on: 25/4/2016. Teething symptoms and how to soothe a teething baby. Available from: http://www.webmd.boots.com/children/baby/guide/teething-symptoms. As accessed on: 25/4/2016. Proper dental care of your child teeth mainly involves brushing, rinsing and routine dental check-ups. Wipe your infant’s gums after every meal with a damp cloth. Do not let your infant go to bed with a bottle of milk or juice. Replace the cloth with a soft toothbrush to clean your child’s teeth as soon as the first tooth appears. Take your child to the dentist every 6 months. Slowly start brushing all the surfaces of your child’s teeth at least twice a day, particularly before bed. Brush your baby’s teeth in small circles and teach your child to spit the toothpaste after brushing. Supervise your child while brushing so that they get the right amount of toothpaste and they are not licking toothpaste from the tube. Help your child to brush their teeth until they are at least seven and can do it properly on their own. You can use bottles for feeding milk or water, but avoid using it for juices or sugary drinks as it can increase the risk of tooth decay. Provide drinks in a cup after your baby is 6 months old. The regular milk and water are the best drinks for your baby; avoid any form of sugar-sweetened drinks. Always dilute one part of juice with 10 parts of water, and your child should not have more than 150 ml of juice in a day. Give your child sweet foods or fruit juices only during mealtimes. National Institute of Health (NIH). Dental care – Child. Last updated: 25/2/2014. Available from: https://www.nlm.nih.gov/medlineplus/ency/article/002213.htm. As accessed on: 22/4/2016. National Health Service (NHS). Looking after your baby's teeth. Last updated: 22/1/2015. Available from: http://www.nhs.uk/conditions/pregnancy-and-baby/pages/looking-after-your-infants-teeth.aspx. As accessed on: 22/4/2016. The crowns of the 20 milk teeth are almost developed when a baby is born, but they are hidden inside the infant’s jawbones. Both milk and permanent teeth have definite times of eruption. Normally, the four front teeth (two in the lower jaw and two in the upper jaw) are the first ones to erupt, starting when your child is about 6 months old. Your child’s jaws keep growing gradually to accommodate the permanent teeth that will start to erupt as they are about 6 years old. The milk teeth begin to fall by the age of 6 to 7 years and are usually all gone by the age of 12 years. 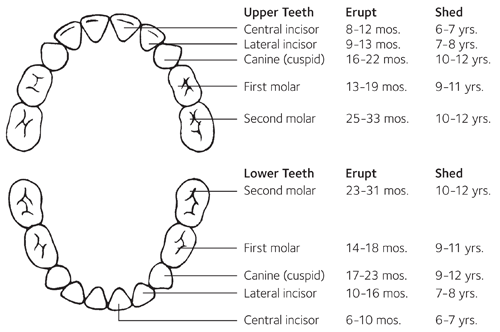 What are the normal ages of tooth eruption in a baby? Most children will have all their milk teeth by the age of two and a half years. Why do I need to take care of my baby’s milk teeth? Thus, good dental hygiene is a must, not only for adults, but also for your child. ADA Division of Communications, et al. For the dental patient. Tooth eruption: The primary teeth. J Am Dent Assoc. 2005 Nov;136(11):1619. Available from: http://www.ada.org/~/media/ADA/Publications/Files/patient_56.ashx. National Health Service (NHS). Baby teething symptoms. Last reviewed: 10/2/2016. Available from: http://www.nhs.uk/conditions/pregnancy-and-baby/pages/teething-and-tooth-care.aspx. As accessed on: 25/4/2016. American Dental Association (ADA). Eruption Charts. Available from: http://www.mouthhealthy.org/en/az-topics/e/eruption-charts. As accessed on: 25/4/2016.